One day, technologies like 3D bioprinting and artificial intelligence could all but halt death. Today, we can’t necessarily do that — but cutting-edge tech can greatly improve people’s end of life experience. That’s what a charity in the U.K. aimed to achieve this week, when it used virtual reality to grant a terminally ill cancer patient what could, quite literally, be the wish of a lifetime. 37-year-old Matthew Hill was admitted to St. Luke’s Hospice specialist unit in Plymouth with late-stage bowel cancer. Although he and his family had managed it for a while, his condition had worsened to the point where it was now impossible for him to be cared for at home. As an avid diver, Hill had always wanted to swim in the Great Barrier Reef, the world’s largest coral system. Unfortunately, his advanced bowel cancer meant that there was no way that this would be feasible. Never mind getting on a plane and flying across the world; the spinal compression that was a result of Hill’s illness meant that he couldn’t even sit upright in bed. Smerdon asked around, and was put in touch with Truvision, a local VR startup located at Plymouth University, which usually uses virtual reality to demonstrate architectural plans to investors. 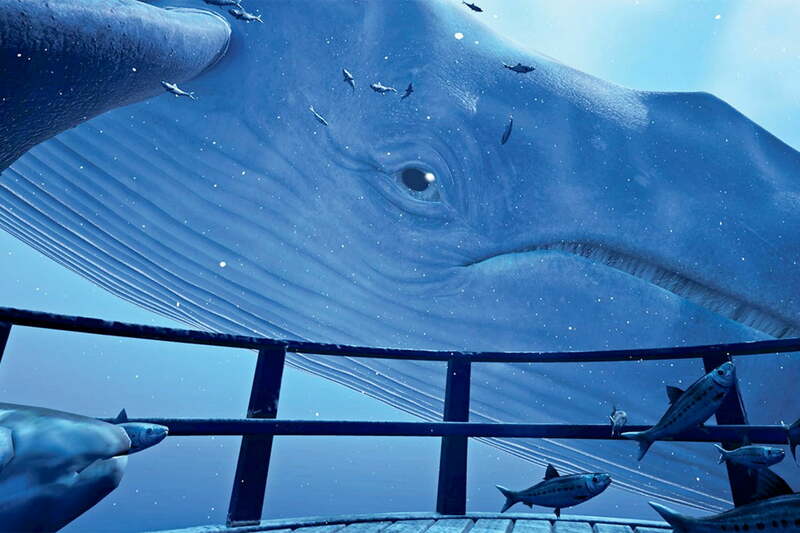 Given the timeline, they suggested using an existing VR experience called “The Blu,” developed by the VR studio Wevr. Just 24 hours after receiving the request, Truvision’s staff rocked up at St Luke’s Hospice, bringing the necessary equipment. Although he couldn’t sit up or leave the bed, Hill was reportedly blown away by the VR outing — which offered a trip to a coral reef filled with glowing jellyfish, a dive with a blue whale on a sunken pirate ship, and a journey to the depths of the ocean floor, alongside angler fish and a giant squid. And all without getting wet. In his own words, he was “well chuffed” by the experience, and was left with an enormous smile on his face. The staff were also left with smiles, as well as the thought that virtual reality may just become an invaluable part of what they do. The idea of a VR bucket list is just one more thing the hospice can offer to aid with a positive end-of-life experience. Since his undersea adventure, Hill’s condition actually improved enough that he’s been able to return home. That’s something that not every patient is able to do, however, which has led to the team at St. Luke’s thinking of a new way VR could be used in hospice care. We struggle to think of any applications of VR that are more life-affirming than that.